This engine came out of the Cleveland Engine Plant #2 (CEP2), originally opened in 1955 to manufacture the 361 cid truck engine. By 1985, this facility was down to 400 employees and on the verge of closing. Then in 1988, plant renovation was begun (with the 3.0L Duratec engine family on the drawing board) at a cost of $688 million, back when the average price of a gallon of gas was $1.03. There are two plant features I found to be especially interesting: first, every engine is hot-run on an 85-foot, 34-station carousel that monitors eight critical operational functions for a minimum of four minutes prior to meeting its final vehicle destination. Second, Ford went back to old school floor technology and used hand-laid wooden bricks. These eliminate transfer of any vibration within the plant, and are much easier on the human spine. I guess NVH has even gotten to the floor of the plant. While Ford has reaped the Duratec’s benefit, it was not an original design. The primary input for the design of this engine was Porsche, which was already developing the configuration for other purposes. Porsche sold the engineering to Ford and Cosworth, the dominant force behind the cylinder head design. There is actually a 6.0L V-12 Duratec configuration used in the Aston Martin, which is custom built for each vehicle by Cosworth in England. DAMB – Lincoln LS, Jaguar, Mazda 6 and MPV, which use direct-acting mechanical bucket (DAMB) tappets. Here the camshaft sits directly above the valves with different thickness pucks for adjustment. Output is 232 hp. RFF-Taurus/Sable/Escape/Tribute use roller finger followers (RFF) with the camshaft offset acting on the roller, which pivot on a hydraulic lash compensator. Output is 208 hp. Builder’s Tip 1: Knowing the look of the two different styles of heads helps distinguish between Taurus/Sable – Escape/Tribute or Lincoln LS /Jaguar. Production numbers of the 3.0L Duratec started out slowly in 1996 through 1999 but increased significantly once it became the Taurus/Sable base engine and then for the Escape and Tribute in 2001. Current production is in excess of half a million engines per year, putting total production to date at about 3.5 million 3.0L Duratec engines manufactured. With that fleet now approaching 10 years old for the 2006 model year, my money says they are about to start showing up for reman/build in respectable numbers soon, if not already. As always, the Ford Broadcast Code sticker is the most valuable tool in determining the exact configuration and application identification. Unfortunately, it is still a paper sticker usually located on the cam/rocker cover and, in some cases, the front cover. These stickers are often damaged, unreadable or gone, which makes it nearly impossible to purchase an engine core when you cannot properly identify that engine. Our intent is for you to be able to avoid that problem with the information provided in this Comprehensive Progression (ComPro) of the 3.0L Duratec engine. F5DE is the casting number for the first generation of the 3.0L Duratec, which, in reality, is not much more than an overgrown 2.5L. There have been reports of an F7DE block, however I have never been able to locate one. In any case, it would be identical so we won’t fuss over it. This is an all aluminum block with cast iron liners. Boring this engine oversize is not a problem, and oversize pistons are readily available. Let’s start at the top (Figure 1) and work our way around to the front and rear. There is a single water outlet tube at the back with an "Indy Track" shape opening for the early style PCV oil separator about in the center of the block. Note that there is not another coolant flange toward the front. Builder’s Tip 2: If the PCV oil separator is not installed on the block prior to the installation of the cylinder heads, it cannot be installed without one head being removed. If you find yourself in this situation the right side head easiest to remove. It can also be installed backwards, so always install with the hose outlet to the rear of the engine. There are also two types with different PCV flow and hose sizes. In the trans-mount area at the back of the block the F5 block has only one bolthole (Figure 2) just above the dowel on the right side. Moving to the front of the block (Figure 3) the F5DE has two dowel pins mounted in the front, both of which are eliminated in all subsequent blocks. This block has a 12mm thread detonation sensor boss. XW4E – AE, AG is the casting number for 1999 only because it’s the only XW block with a 12mm det sensor boss. It has a provision for the oil feed to the right side cylinder head (Figure 4) to use with variable valve timing (VVT) although it’s not being used. There are also coolant port changes that occurred on the right side that required a new design head gasket. A coolant port flange with two boltholes can be found on the top of the block used in the Lincoln LS and Mazda MPV. This flange is plugged for all other applications. This block now has two boltholes in the trans mount flange area on the right side above the dowel (Figure 2). Typically you will find the casting number for this block in the lower area just above the bedplate. 2000-’05 Taurus/Sable, Escape/Tribute, Lincoln LS, Jaguar S & X, Mazda MPV and 6. XW4E- BA is the casting number for 2000-’02 and you will find the casting number high on the block just under the cylinder head deck or along the top of the trans mount flange on the right side. In 2003-’05 casting number 3W4E came on the scene. I have seen Broadcast Code engines that were 2003 and 2004 and had XW4E blocks. If you’re a purist I leave it to your own heart; otherwise I consider the blocks to be fully interchangeable. In fact, the blocks are identical to the 1999 block except the det sensor now has 8mm threads. Since this is nearly identical to the det sensor situation with the 4.6L Ford, I would assume that the same companies that provide those adaptors and tooling should be able to do the same for the 3.0L Duratec. There are only two crankshafts: one with a shallow bore hole in the rear with a short alignment bushing and one with a deep hole and long alignment bushing (Figure 5). V 10 is the crankshaft forging number for the early crank that has the shallow bore hole in the rear of the crankshaft of .524" deep and bushing length of .970". VI 60 is the crankshaft forging number for the later crank that has a deep bore torque hole in the rear of the crankshaft of .647" and bushing length of 1.167". Bushing length results in .080" or 2 mm longer protrusion at the back of the crankshaft. Other than the bore hole the cranks appear to be identical. The crankshaft position exciter ring has two different index key slots. One is for 3.0L Taurus/Sable with the position sensor on the right side of the engine, and one is used for the Escape/Tribute, which has the crankshaft position sensor on the left side of the engine. If installed incorrectly the engine will run, but very poorly. There are two connecting rods, which the only difference is nothing more than a couple of dimples on the thrust face on the lower (large) end (Figure 6). They weigh the same and end for end, they are bushed for a full floating pin. They are forged, powder metal, fracture-split (cracked) connecting rods. Double dimple con rod that is the same as the one without the dimples. Without dimple, plain face connecting rod is fully interchangeable with the other. There are two different pistons for this engine. The first design has a flat top with a slight dome, the second is nearly identical with four valve reliefs for the additional piston-to-valve clearance with the introduction of the VVT engines (Figure 7). Skirt-coated piston with 1.771" compression height. It also has a 2" diameter dome .027" tall. Uses ring pack of 1.2mm top ring, 1.5mm second ring and 3.0mm oil control ring. 2003-’05 Taurus/Sable, Escape/Tribute, Lincoln LS, Jaguar S & X, Mazda MPV and 6. With the introduction of VVT in Lincoln, Jaguar and Mazda, four .055" deep valve reliefs were cut into the dome of the piston. Its dome height is .037" tall. All other properties of the two pistons are identical and the effective volume is the same. Builder’s Tip 4: The pistons with the four-valve reliefs may be used as the one piston for all remanufacturing applications from 1996 to 2005. For the RFF engines, camshafts have been amazingly stable. 1996 through 2000 Taurus/Sables used the same camshaft throughout. Then in mid-2000 (I was unable to get a clean date), the timing gears went from a 36-tooth cam gear to a 42-tooth cam gear and were used in the Escape/Tribute all the way through 2005. My sense is that this change had to do with the upcoming VVT applications, which required additional indexing points. Take note: everything changed with regard to gears, guides, chain and the tensioner(s). There was no mixing of any of the timing components between 36- and 42-tooth gears. Also the cam timing gear and camshaft are a single assembly, therefore part numbers change. The camshaft profiles themselves are either identical or so close that the difference is negligible; however watch for the intake cam-driven rear water pump. I have been told that one set can be used as the default for all applications, if you use the proper matching components (Figures 8, 9 and 10). One last note: I would treat these camshafts with special care since they are over $300 each, and at this point only available from Ford. Note: exhaust cam part numbers go through 2005. Note: exhaust cam part numbers go through 2005 and are now without sprockets. Information on intake cams is unavailable from Ford at this time, but we know that the engines went to VVT valve timing and went to 42-tooth cam gears. 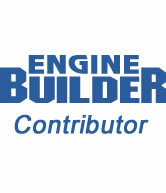 Builder’s Tip 5: The Jaguar and LS Long Block engine are the same other than different VVT units on the intake cams. Identifiable by their different materials, the Lincoln LS is aluminum (light in color) and Jaguar is steel (dark in color). Right and left heads are c/n F5DE with different suffix numbers; the cylinder heads are different from side to side. These heads have six round intake ports (Figure 11). Right and left heads are c/n F7DE cylinder heads with different suffix numbers; the heads are still different from side to side. This right side cylinder head has a protruding ear to cover the oiling port for VVT, which is not being used. Right head is c/n YF1E and left head is c/n YL8E. These heads now have 3 oval intake ports, and still use a front water pump. This right side cylinder head has a protruding ear to cover the oiling port for VVT, which is not being used. As with the 2000 models, the right head is c/n YF1E and left head is c/n YL8E. These heads still have 3 oval intake ports, but now have a rear water pump driven by the left intake cam. The right side cylinder head has a protruding ear to cover the oiling port for VVT, which is not being used. Right head casting number is YF1E and left head is c/n YL8E. The right head has the protruding ear to cover the VVT port which is still not used. There are 3 oval shaped intake ports per cylinder head with the rear water pump driven by the left intake cam (Figure 11, left and 12, right). Left head casting number is W4E-6C064-AE, AG, FE and right head c/n XW4E-6090-AE, AF. The cylinder heads are also clearly marked with cast letters indicating right and left. Left head casting number 1X4E-6C064-BC, BD and right head casting number is 1X4E-6090-BC, BD. The cylinder heads are also clearly marked with cast letters indicating right and left. Best information to this point is that these heads are the same as the XW4E heads. I was unable to find reliable casting information and they may be the same cylinder heads as the previous year. What I do know is that the Lincoln and Jaguar heads are now identical in their use of components, including the VVT mechanism. It is impossible to talk about the 3.0L Duratec without addressing the head gasket issue and the combinations that work and those that do not (for more information on this topic, see the June 2005 Core Corner (Engine Builder, page 17, "Looking For Leakers In Ford’s Duratec 3.0L Engines"). The thing to remember is that 1999 was the year the change took place, so when building this engine use the early gasket up to 6/15/1999 engines and the later one after that date. Pictures are the best way to describe the changes, so see Figures 13 and 14 for clarification. The bottom line is, if you have an F5 or F7 block use the early gasket and if you have an XW or 3W block you will use the later gasket. The front covers are a big piece of the proliferation puzzle on these engines and can be a vital tool for identification. 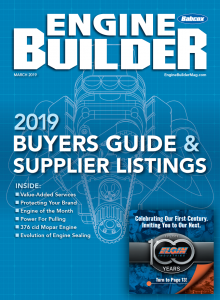 For even more information about the variety of covers used on the Duratec engines, turn to Core Corner on page 28 of this issue. There are two casting numbers (c/n F5DE-BJ and F8DE-AB) used for the first run 3.0L Duratec engines. These covers have a cam position sensor mount on the upper right side of the cover (left side of engine) and a crank position sensor mount on the lower left of the cover (right side of engine). This cover (c/n 1F1E) was a mid-year introduction. There is nothing that confirms the 42-tooth timing components and this cover were introduced simultaneously but it seems likely. The tensioner mount moved from left side of the cover (right side of engine) to the right side of cover (left side of engine). The cam and crank position sensors are in the same location as the first timing cover but this is now a rear water pump engine. This cover (c/n 1S7E) is unique to this application, which uses the rear water pump driven off the intake camshaft. It has the crank position sensor on the opposite side than the Taurus/Sable cover. Be certain the exciter crank ring is indexed for this application. This was the first cover (c/n XW4E) used with the DAMB cylinder head, which has a completely different look and has one cam position sensor and one crank position sensor that comes in at a slight angle. Builder’s Tip 6: Front covers that have the CPS coming in at an angle must use the corresponding exciter ring that looks identical to the previous ring except the teeth are at a slight angle instead of flat. The second cover (c/n 1W4E – unverified) used with the DAMB cylinder head now has two cam position sensors with the use of VVT and one crank position sensor that comes in straight on as all of the RFF head covers. The Jaguar cover (c/n 1X4E) is similar to the Lincoln LS cover with dual cam sensors for VVT and a single crank position sensor that comes in straight on, with an additional mounting ear). Builder’s Tip 7: All the front covers have their casting numbers inside, so the only identification is by external visual appearance. The Taurus/Sable front of engine water pump mounting can be extremely challenging. Removing the front belt drive and crankshaft pulley assembly can give you heartache your first time. The crankshaft pulley is threaded for a stub shaft that is also threaded for the pulley belt drive assembly and mount. Both the stub shaft and belt drive pulley are left hand thread and will require a special long deep well socket to remove the stub shaft (Figure 15). The crank exciter rings can give you fits, so make certain you are using the correct indexing for the application. If you have the angle mount sensor make certain to have the angle tooth ring (Figure 16). The 1999 engine can be a profit-eating shark, so make certain that you know which block casting you have to determine the head gasket set you are going to use. Don’t put early heads on the late blocks or they will leak. The Escape/Tribute will likely be your biggest market if you’re going to test the waters on this engine. Unless all statistics to this point are to be proven wrong, truck and SUV applications are the first ones to show up and the ones that keep showing up. These vehicles get worked hard and kept a long time. Applications that use the engine oil cooler are the same engine as the one that does not. The oil cooler hose routing assembly is an adaptor between the block and the oil filter (Figure 17). When using the XW4E block make certain that you know whether you have the 8 mm or 12 mm detonation sensor. The total production of Mazda MPVs with 3.0L Duratec engines was 107,000. With numbers that low, the likelihood of someone putting an engine into this vehicle is also pretty slim: I would consider this an engine you won’t need to worry about. In 2005, the Lincoln LS and Jaguar are reported as having the same engine, but I was unable to verify whether that’s a fact. If you’re going to take phone orders on this engine, a pre-determined checklist based on the casting identification may be a better way to go than model year, date code breaks or even broadcast codes. There were many who contributed to the information contained in this article and I would like to make mention of a few. Thanks to experts at Sealed Power, Federal-Mogul Sealing Division – Fel-Pro; Engine Parts Plus and General Core; and Jasper Engines and Yamato engineering staffs. Special thanks to Doug Anderson from Groom’s Engines, both for his help as a source and mentor. This article contains the type of information available within EngineDataSource.com. EngineDataSource.com includes component part numbers from 14 major aftermarket parts manufacturers, as well as Mitchell 1 engine specifications, tolerances, disassembly and reassembly instructions, and illustrations. Products, a PER in Springfield, MO.